Why choose expensive pure-bred pet over a mix? This excerpt from one of the pet insurance companies survey is really very modest in my estimation and covers only the MIN expenses. Like most of the pet owners and lovers, we cannot resist all the temptations of pet industry advertizing and buy a LOT of things we can spoil our pets (and ourselves) with. It also does not include required education resources like books (that personally, I spend a LOT of my money on even after 40 years of being in the industry because like everything in life, educational approaches and training techniques change and develop all the time. Many people ask: "Why should I pay so much money for a kitten or a puppy if I am not interested in showing or breeding but just want to have a good pet? There are many "affordable" pets advertised in newspapers or Internet for free or almost free!" 1. First of all, I really admire people who adopt "discarded", homeless or pound animals, - truly! Kudos to you and we need more like you! However, not all of us are so altruistic. These animals often come with a very challenging "baggage" of either lack of control or abuse and neglect. Yes, sometimes they are wonderful animals that just lost their beloved and loving owners to sad circumstances but way to often they have never known a good caring home. What happens when you adopt such an animal is that it may take years to compensate for the unfortunate conditions their personality has developed in, if at all possible. Personally, I am not heroic enough to devote potentially years to an animal that may not ever become a good, not to mention, "perfect" pet. But then, one might say, - why not take a little puppy/kitten. Wouldn't it be the same? Unfortunately, - no, there are no guarantees either. 2. Only with a pure-bred animal you would know exactly what to expect! Both aesthetically and behaviorally. Every baby, whether it is human, puppy, kitten, chick or any other young creature is absolutely adorable, no doubt about it. And those of you who have ever held one, know how difficult it is to go home without bring it with you. Whether you pay a $100 or $1,000, you will love it the same and you will have to spend the same money for its treatments, food, toys and training. Well, NOT always the same - in many cases, especially if the pet came from a puppy mill or just a dishonest breeder, it may carry many genetic diseases that are extremely expensive to treat! Reputable conscientious breeders will provide a written health guarantee against these diseases because they are interested in promoting and improving the breed and will never breed a "problematic" stock. And really great breeders care not only about appearance (i.e., breed standard) but also animal's behavioral characteristics specific to that breed that are predefined by the parents (particularly, the mother) as much as other genetic traits. That's why if you want to have a field dog, for instance, you should acquire a puppy from the parents who are good at working in a field. Personal note: Like many of you, first time dog/cat owners, I purchased my first puppy when I saw it and it was SO irresistible (and his mom's picture was very beautiful ;-) Hence, a year later, the second, VERY pure bred best pedigreed dog joined our family to satisfy other senses! What age my puppy/kitten is ready to go home? Most people want to get their pet as early as possible, so they can bond better. However, there are very important milestones in puppy and kitten development that have to be reached before they can be removed from the mom and the litter. These milestones are extremely important and, if not observed, many behavioral issues will most likely ensue. For a puppy this age is a minimum (!) of 8 to 10 weeks and for a kitten - 12 to 16. It can be more in the case of a rant of the litter. Although most moms stop or significantly reduce nursing by 6 weeks (when teeth appear and the babies start eating supplemental meals most of the time), they continue to teach them how to behave in the appropriate way. Many puppies that have been adopted at 6 weeks of age find it difficult to behave properly around other dogs because they are not well versed in their species language. Also, the company of their siblings is the most important to them at that age because, while playing, they experiment with testing their position in a pack (dominant vs submissive), learn what behaviors are acceptable, how strong their bite is, etc. A puppy taken too early from his mom and litter mates may never learn to not nip at children's feet or hands and kitten may never learn to play without unsheathing its claws - and you definitely don't want your child's face or your own hands scratched, do you? Before they learn how to be a part of a human family they need to understand what it means to be respectful of the rules of their own species. "But isn't it too late for their socialization with the future owners?" - It is true that the age of readiness is very close to (for puppies) or even beyond the time when socialization period ends (for kittens). That's why it makes a huge difference what kind of house this animal came from and whether or not he has been properly and often handled by people in the breeder's home or whether he was left in a cage for most of the day and had no contact with other species. Whether you like it or not but you have to rely on a breeder for this job. Which means, it has to be a good and reliable breeder. It makes all the difference! On another personal note: My first pure-bred Himalayan kitty came from a breeder I knew nothing about. She was only 12 weeks and was raised in the house with a golden retriever - which was enough guarantee for me - but, looking back at the way she was kept in her box and without a mom around (because she was already pregnant again by that time!) and handed to me, I soon realized the reason for extreme fearfulness of that cat that even after three years of living with us could not accept neither us nor the dog fully. She was simply not handled enough or at all at the critical age of 3 to 7 weeks. Why do you want to be on our waiting list? 1. We do not over-breed our precious queens: ONE breeding a year ONLY! And we usually schedule breedings depending on demand, particularly for kittens. That means, the sooner you get placed on the waiting list, the sooner kittens will be available. 2. Often, by the time the puppies and kittens are born, best or all of them already reserved. Keeping your high position on the waiting list ensures that you don't miss your chance of choice for particular color, gender and quality. Show and breeding quality in particular need to be reserved in advance. 3. By being placed on the waiting list after you paid your deposit you guarantee the lowest price possible for your animal even if only the highest/most expensive quality is available. Can anyone be placed on a waiting list by paying a deposit. Unfortunately, no. Buying/selling an animal is a two-way commitment. It is important for the buyer to remember that adopting an animal is a big responsibility and long-term commitment for 12 to 18 years. You need to be sure that you are ready for that. On the other hand, we need to be certain that you are a right adoptive family for our animals because their well-being is extremely important to us. So, before we commit to the client, we conduct an interview with the family and ask to fill out Adoption Questionnaire that help both sides clarify their positions. As a result, some clients can be rejected. Why pay deposit in advance? All reputable breeders charge a non-refundable deposit before allowing clients to select their animal in order to ensure that the buyer is serious. If a breeder reserves a kitten or a puppy for a particular client without a deposit and the client either backs off at the last minute or does not pick up a pet on time, both breeder and the pet suffer greatly. 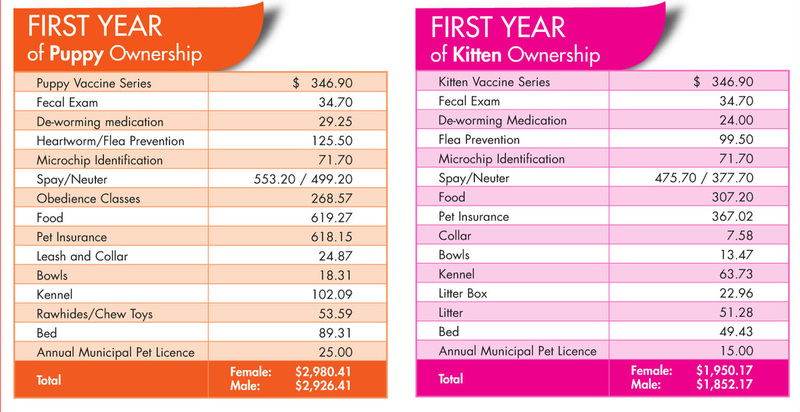 Our deposit allows a client to reserve a kitten from one of three subsequent litters (i.e., different moms). See next for more info. 1. In most cases, we assign the right of choice to those clients who reserved their placement the earliest on "first come, first served" basis while the availability of a particular animal and your declared desires at the time of placing the deposit play a significant role in the choice. 2. Breeders always have priority and the first choice. The second choice is reserved for people who want to have a show animal. Showmanship is always encouraged. 3. Our clients on the waiting list who did not find a desired animal in the most current litter will continue to reserve a right to select a kitten from two additional subsequent litters. After that, the deposit becomes non-refundable. Before making a commitment to sell/purchase a kitten, we work with a client whose problem with cat allergy is known to ensure that they find a compatible animal. We also encourage clients who suspect potential allergic reaction to cats to perform a skin test to make sure that it is indeed cats they are allergic to. Learn more about cat allergy here.